An indicator such as the percentage of households with broadband access overcomes limitations of per capita measurements since there is a clear minimum (zero) and maximum (100). Based on that indicator, the United States ranks 15th. 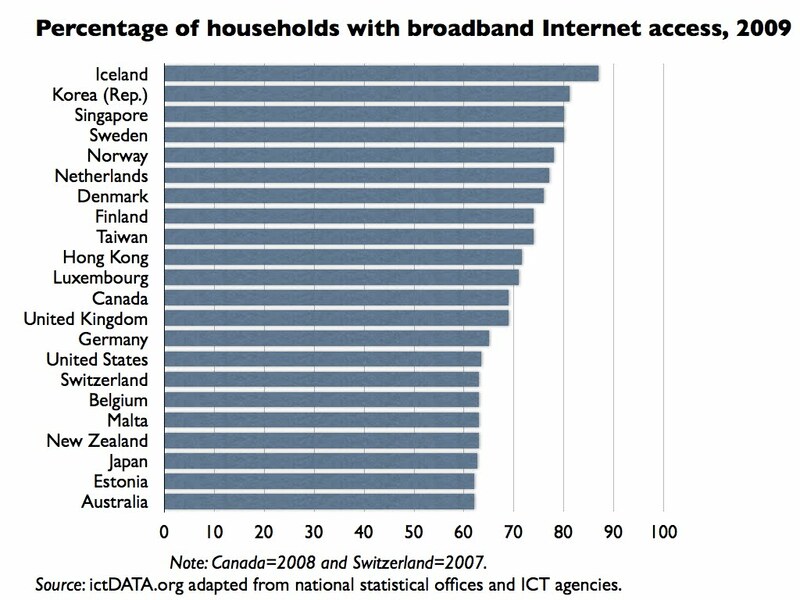 Iceland ranks first with 87% of its homes having broadband access in 2009. Korea ranks second. According to official government data, 81.2% of Korean households had Internet access of which practically all used broadband. This is in contrast to figures that have been floating around putting Korean household broadband penetration as high as 95%—curious how that originated! Phoenix Center. 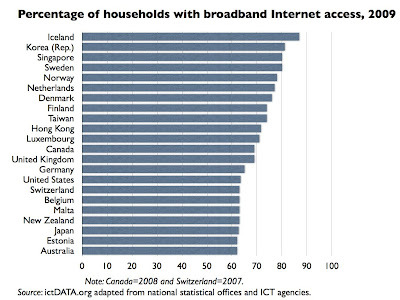 "OECD DATA CONTINUES TO MISLEAD ABOUT U.S. BROADBAND STANDING." Press Release, July 7, 2010. http://www.phoenix-center.org/perspectives/Perspective10-05PressReleaseFinal.pdf.